There are no shops or restaurants in this mall. 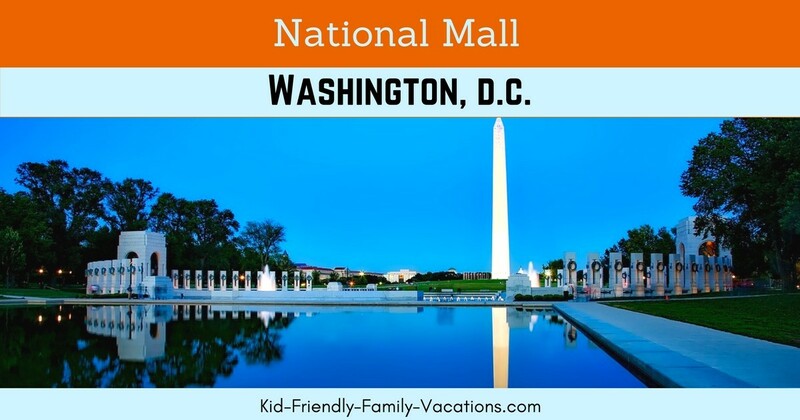 The National Mall is a really cool National Park in downtown Washington DC. 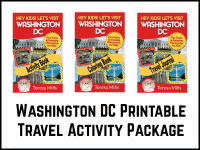 The park runs for 1.9 miles, from the steps of the Capitol Building to the Lincoln Memorial. There are about 24 million visitors to the National Mall each year. The reflecting pool is actually called the Lincoln Memorial Reflecting Pool. It spans most of the distance between the Lincoln Memorial to the Washington Monument. Depending on where you stand, you might be able to see either the Lincoln Memorial or the Washington Monument reflected in the pool. The reflecting pool is lined by walking paths and shade trees on both sides. The reflecting pool in the picture above is reflecting the Washington Monument which is also on the National Mall. In the picture you can also see the National WWII Memorial. 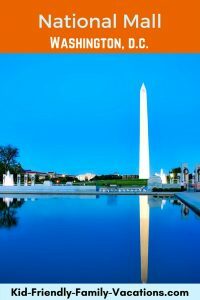 The National Mall was set up so that there would always be an area for recreation and enjoyment of people in downtown Washington DC, and to provide a monumental, dignified, and symbolic setting for the museums, memorials, and government buildings along the mall. Smithsonian Institute. This is the oldest building in the Mall dating back to the 1800s. Another name for the Institute is the Castle Building. The building is named after the Englishman James Smithson. Smithson left his entire fortune to the US as seed money for an establishment that would encourage the proliferation of knowledge. National Museum of Natural History. This building located at the north side of the Mall was designed and built in 1911. It is home to a wide variety of exhibits including the Hope Diamond. It also features an IMAX theatre for historical and educational film showings. Hirshhorn Museum and Sculpture Garden. This museum features a round building containing a vast collection of sculpture and painting in the contemporary style. There is a sunken garden that gives the perfect vista for appreciation of the art collection. 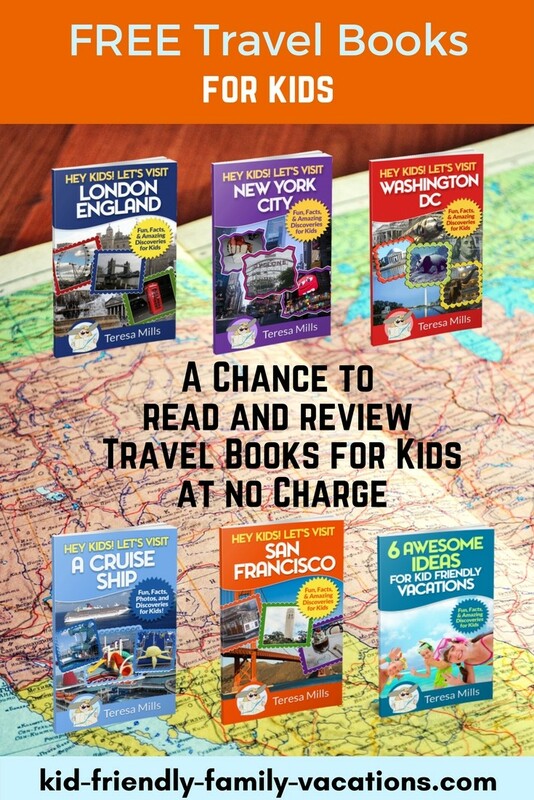 Top Attractions in WDC for Kids! Free Download! 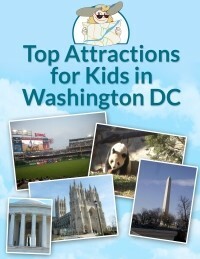 Top Attraction Choices in WDC for each age group! Just enter your email address below, and we will send you the latest version of the attraction list! 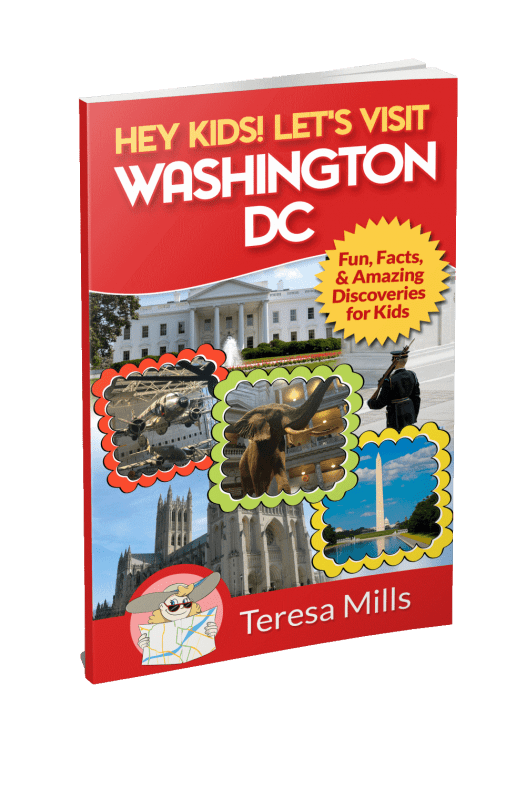 Educate the kids in your lives about Washington DC!